Pleasant 2-bdrm Unit w/ western views in this building "Discovery Place I". Features spacious open layout, hardwood & tile flooring (renovated in 2010), in-suite laundry, private balcony, 1 parking and 1 locker included. Updated roof & piping. New elevator in 2010. Full amenities include indoor pool, sauna/hot tub, gym, racquet ball courts, recreation center etc. Pets not allowed. Rentals are permitted. The bus stop next to this building & Lougheed Skytrain station / Lougheed mall within minutes of walk! Also you can chose for a family dinner from all kinds of restaurants nearby. 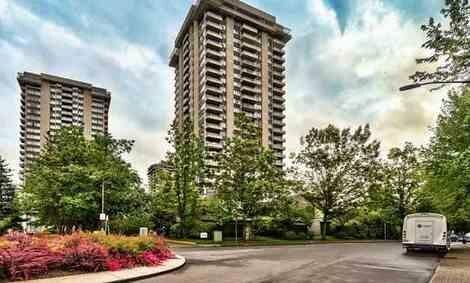 Easy access to Hwy 1, SFU, Burnaby Mountain Sec., Cameron Elem., any services etc.